Description and Similar Species: Wingspan 64-94mm. 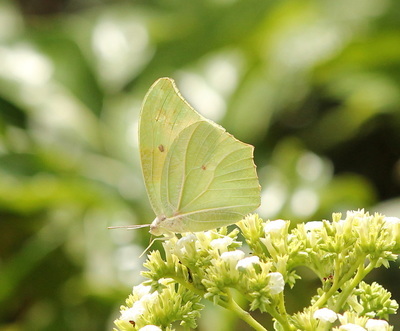 A strong flier and noted for its migrations. 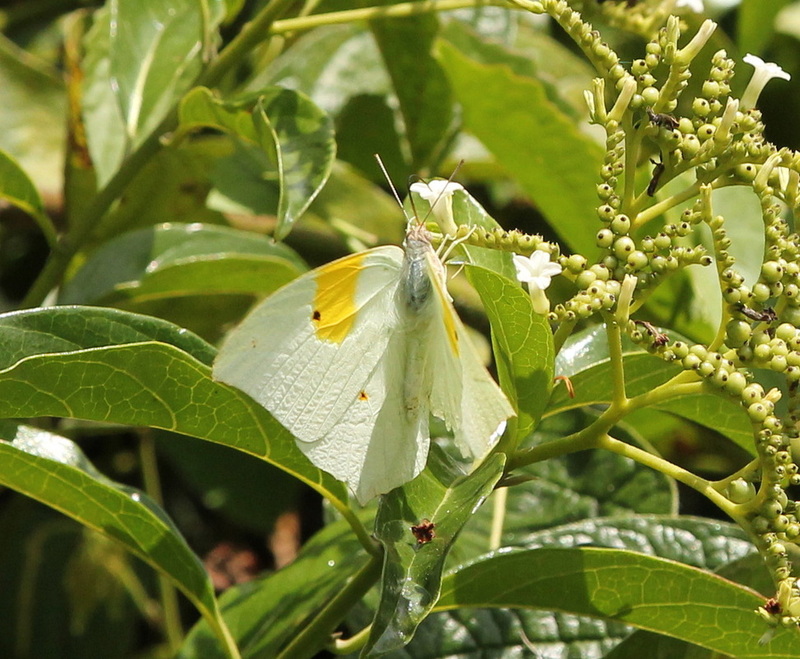 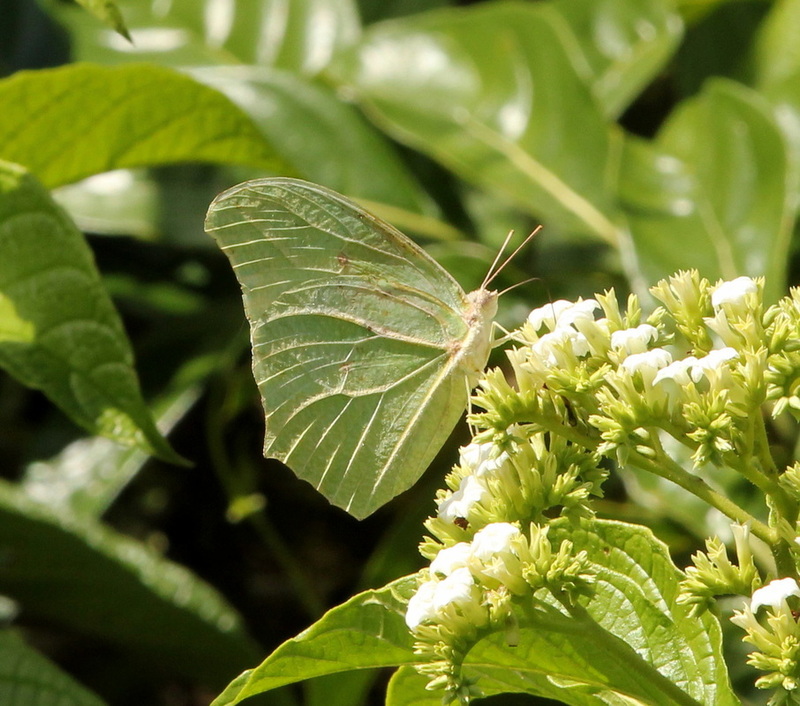 The only white butterfly of this size and so easy to identify in flight though it could be mistaken for the rare white form of Yellow-angled Sulphur Anteos maerula but males of A. clorinde can be distinguished by the yellow patch on the forewing but this needs close views to be visible. 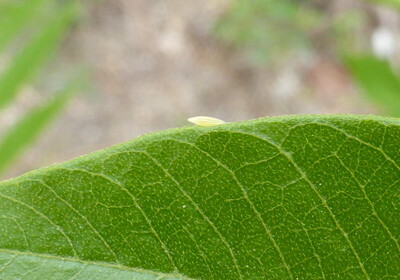 On females this patch is blurred or absent. 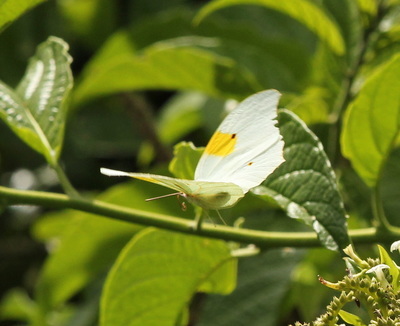 It never settles with its wings open so the pictures showing this below are taken in flight on a speed of 1/1600 sec. 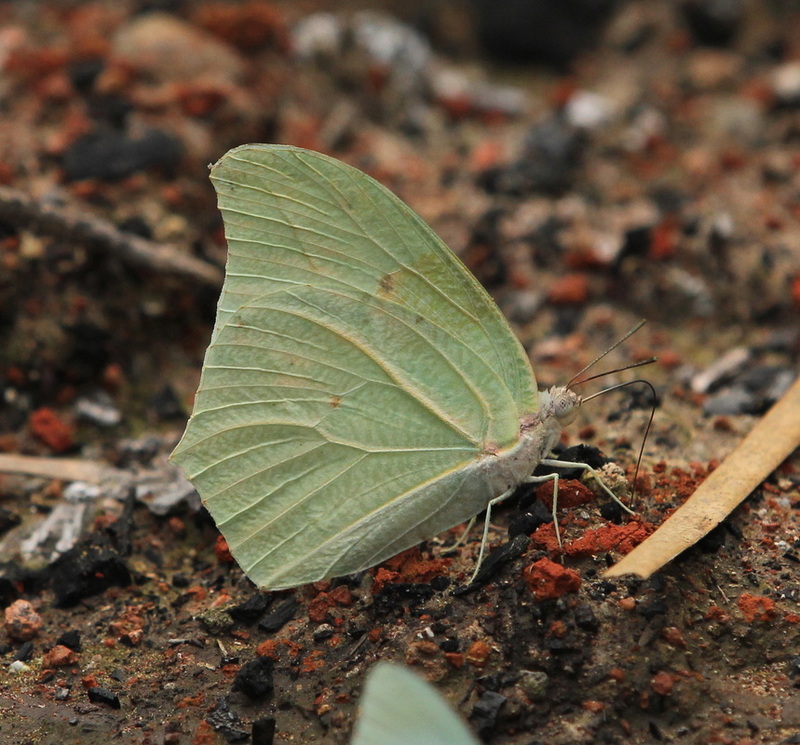 When settled with wings closed it closely resembles A. maerula but that has slightly larger spots on the underwings. Range: From Southern USA to Argentina including Cuba, Jamaica and Hispaniola. 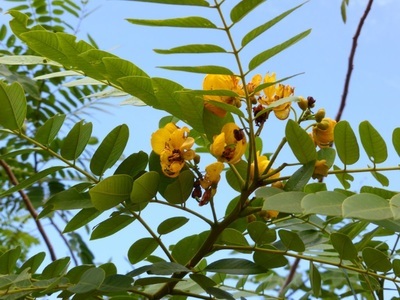 Status: Widespread and sometimes common in all habitats throughout Cuba. 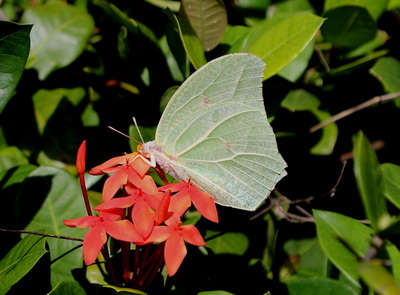 Nectar Plants: Attracted to both red and white flowers eg Tournefortia hirsutissima, Lantana, Bauhinia, Cordia, Hibiscus and Ixora coccinea. 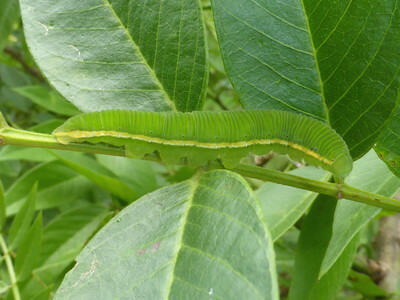 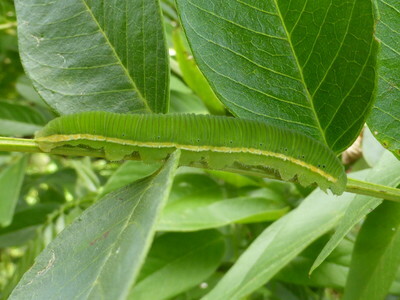 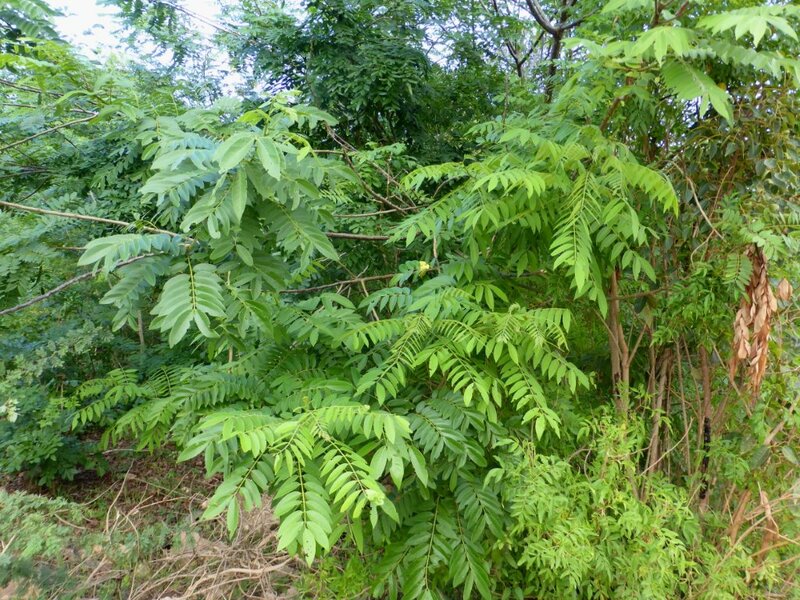 Larval Foodplants: Larvae have been reared on Senna spectabilis and Pithecellobium. 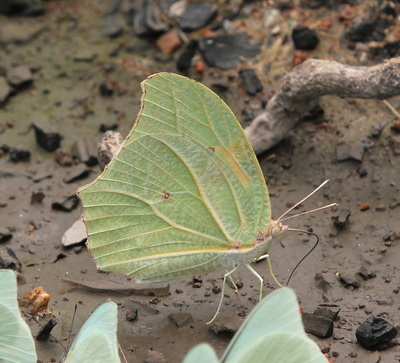 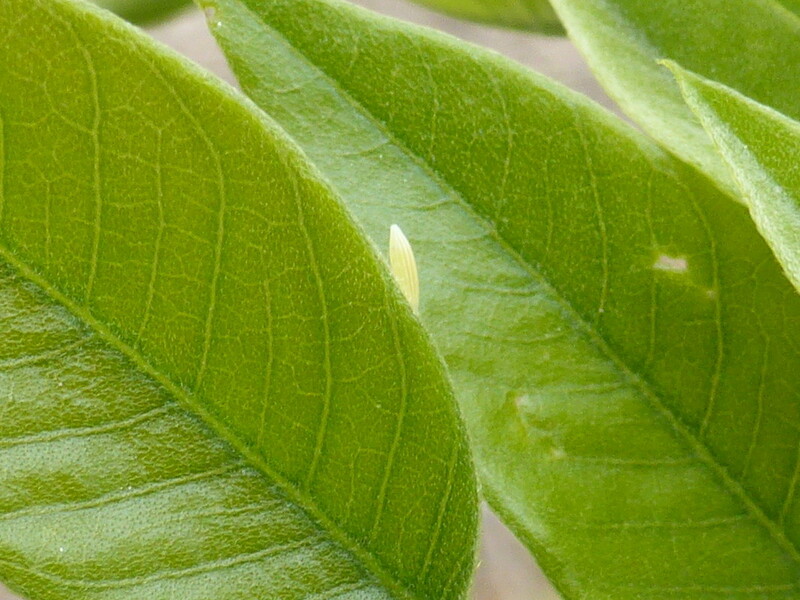 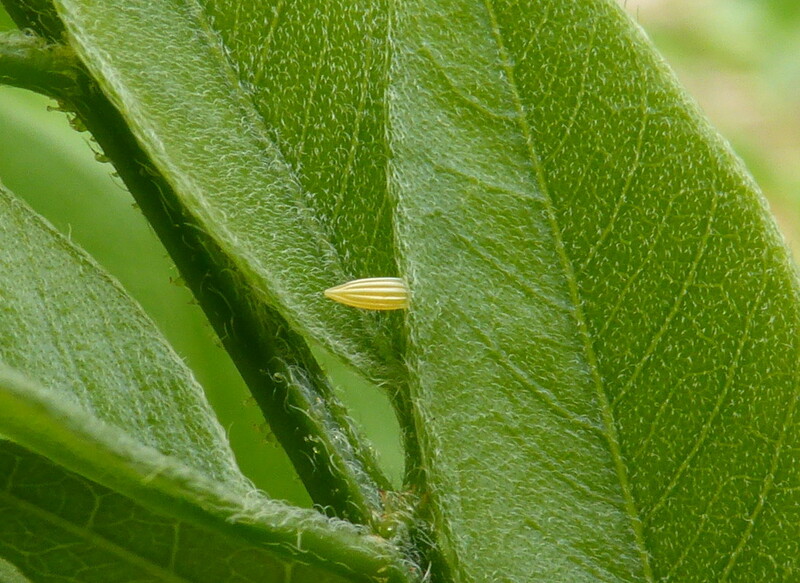 The eggs are laid on the edge of a large leaf.